You are here: Home / Australia / Nick Vujicic – The man who has no limbs, yet has inspired millions! Very often, we who have all the faculties intact tend to curse our fate when something goes wrong in life. We are quick to find fault with others and slow in taking charge of our lives and be responsible. 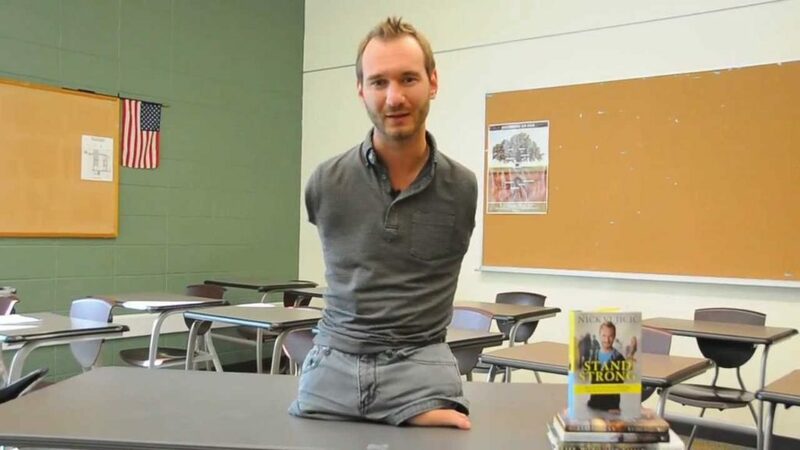 Here is a 34-year-old man, Nick Vujicic who was born with practically no arms or legs, just two deformed feet alone. Does he feel disappointed with his life? Does he curse the destiny that was handed to him? No. Instead, he spends his life as a source of inspiration to millions of people all around the world. He leads as normal a life as he can within the constraints he has been born with. Shall we know more about him? Nick was born on 4th December, 1982 in Melbourne, Australia to two devout Serbian Orthodox immigrants from Yugoslavia. 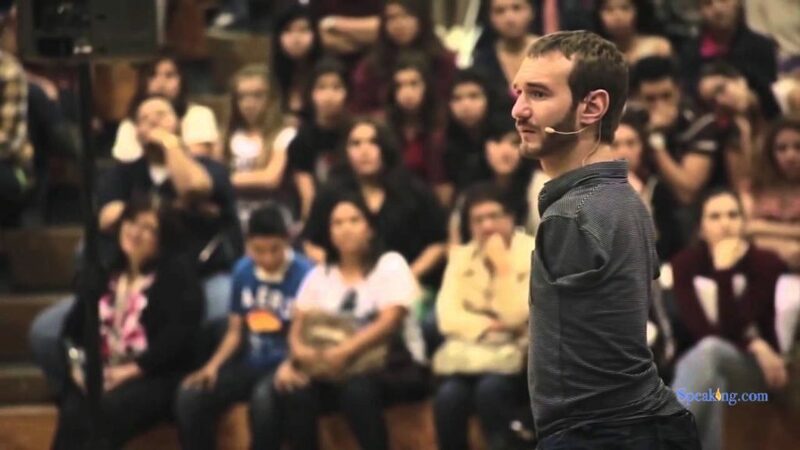 His Father, Borislav Vujicic was a business manager and was a devout Christian too. 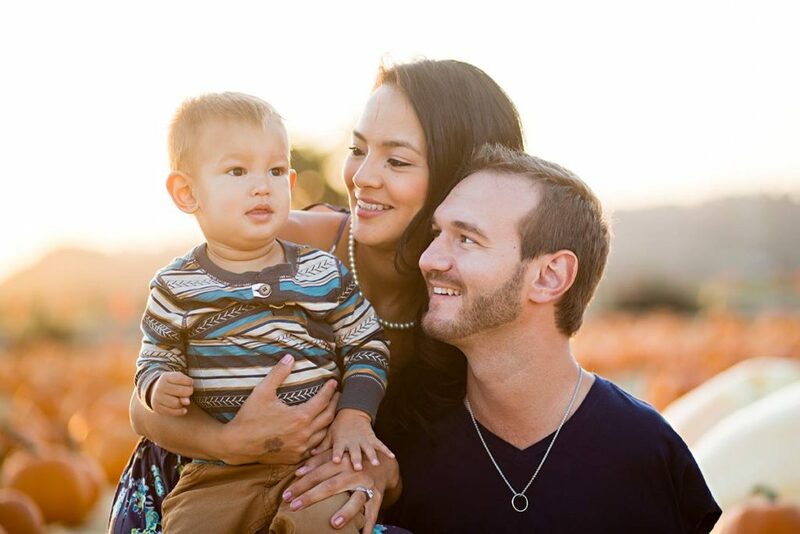 Nick’s mother, Dusanka Vujicic went to nursing school at the Royal Children’s Hospital in Melbourne. Both his parents were very active in a church in Melbourne. Nick Vujicic was born with tetra-Amelia which meant that he did not have any fully formed limbs. Initially, Nick’s mother was shocked and even refused to hold her son after he was born but both his parents learned to accept Nick as God’s plan for them. Thanks to the devout Christians nick’s parents were, we now have one of the most inspirational speakers today. Nick has no upper limbs. He does have two very deformed feet, one of which he calls his “chicken drumstick”. He named it because it looked like a chicken drumstick. The toes on that foot were originally fused together when he was born. Later nick underwent surgery to separate the toes on that foot so as to allow Nick to perform basic tasks. Nick taught himself to use his toes as fingers and uses it to grab objects, turn pages and even operate an electric wheelchair. During his childhood, Nick attempted to kill himself many a time but still recalls his childhood to be very pleasant and surprisingly normal. Nick learned to use his toes to even operate mobiles and computers. Nick survived all the bullying in high school and college because of his parents’ support. When Nick was 17 years old, his mother showed him an article about a severely disabled man who managed to deal with it all. Nick became inspired and began his career as a motivational speaker by speaking at church groups. He became a professional orator at age 19 and went on to achieve great heights. Nick graduated from Griffith University with a Bachelor of Commerce degree and a double major in accountancy at the age of 21. From when he was 19, Nick has been talking at some of the biggest stages around the world. He is a truly motivational speaker and life examples will make you all the more motivated and thankful. Nick has a way with his listeners and always manages to motivate them. Nick founded a couple of organizations namely “Life without Limbs” in 2005. He also founded a secular motivational speaking company in 2007 named “Attitude is Altitude”. February 12, 2012, was a great day for Nick as he married his girlfriend Kanae Miyahara. Kanae loved Nick with all her heart and did not mind that he was disabled. The couple has two beautiful sons and life in sunny California. We wish Nick success in all his ventures in the future and wish him to keep motivating people of all ages. Strongly agree Kathleen.. I love this guy, following from a while. Please follow our blog World Top Updates for more interesting stories. Very true Kathleen. It is his attitude towards life that makes us wonder how he is able to take everything in the right perspective!